Greenway Industries is a fully insured and licensed paving business providing services in the New Canaan, CT area. We deliver New Canaan, CT homes and businesses with highly reliable, inexpensive, and strong paving and masonry services. Working with state-of-the-art tools, we can repair current pavement or build entirely new structures. We produce strong, appealing paved driveways and parking lots. Upon finishing, our clean-up crew leaves everything spotless. If you’re considering including a conventional New England look to your New Canaan, CT home, Greenway Industries can help! Oil & Stone driveways can give your property a traditional touch. Preceding the installation, our specialists will fully review your home, making certain that our oil & stone treatment will not create any dilemmas. We will work with you to choose the right option for your home. The lack of sufficient drainage destroys asphalt surfaces, which can lead to expensive repairs. Satisfactory drainage in your parking lot or driveway can limit surface fractures, cracked foundations, and even black ice during the winter. 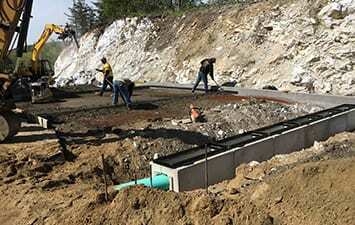 We can establish drainage solutions in the present pavement or incorporate proper drainage to expected projects. When a client visits your business, one of the first things they notice is the parking lot. Potholes and large cracks make your business’s parking lot unattractive. Neglecting current pavement damage translates to extensive future repairs. 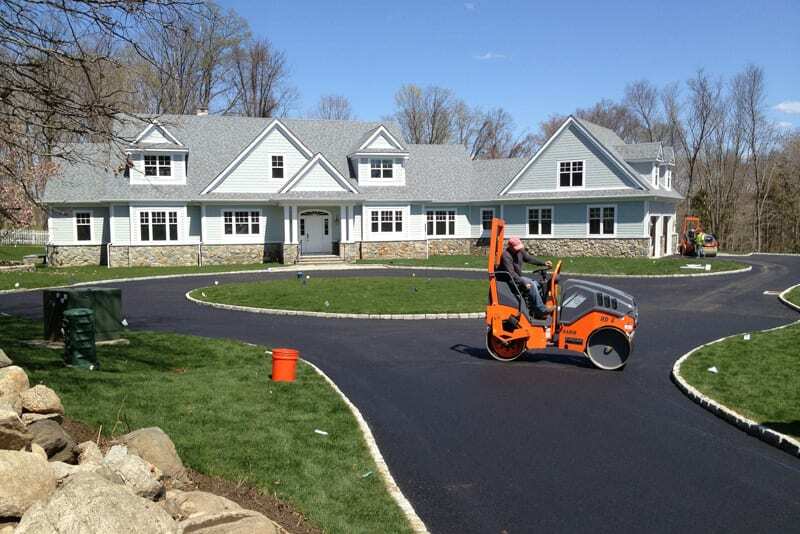 Greenway Industries produces commercial paving & asphalt repair services to organizations in New Canaan, CT. 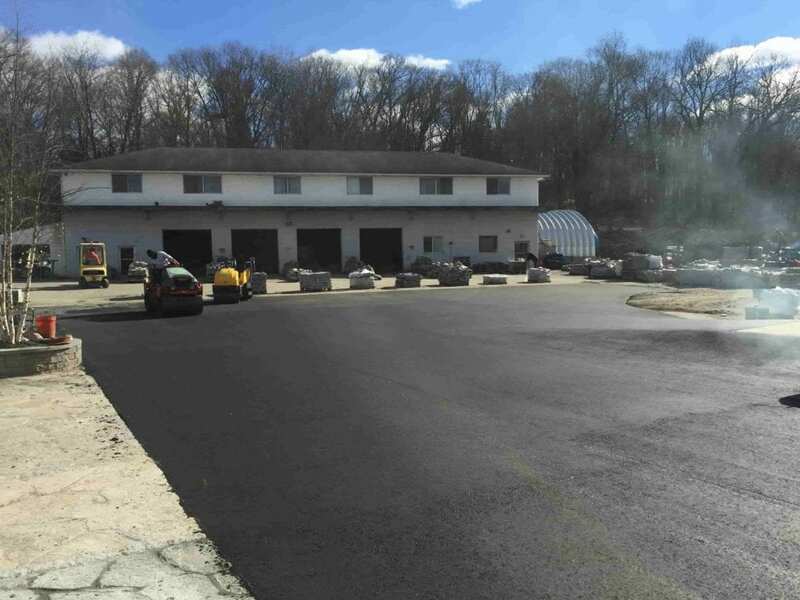 If you require an economical and cheap option for repairing your paved surface, asphalt milling is an exceptional alternative for New Canaan, CT surfaces. Asphalt milling divides the surface layer of the pavement from the layer below it without destroying it. New pavement can later be placed over it. 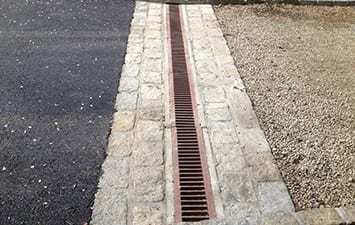 This allows for an inexpensive and valuable repaving solution. 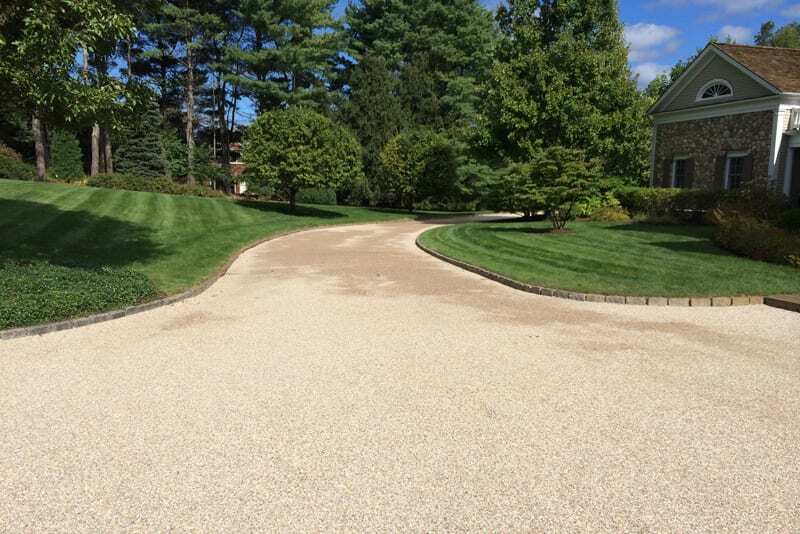 Asphalt Reclaiming in New Canaan, CT is a magnificent alternative when you need to replace your asphalt surface. The asphalt is extracted and ground to bits. The crumbled asphalt is combined with the current foundation. This minimizes landfill garbage, as well as decreases greenhouse gases by reducing the need to ship brand new base materials. We’re proud to offer attractive, durable pavement for our clients while also being green-friendly. Asphalt fine grading is the base of our paving procedures. If you don’t do exceptional fine grading work, the result of your finished paving project will go terribly. We promise to complete your asphalt fine grading in a suitable and economical process that gives you the perfect base your flawless paving every time. 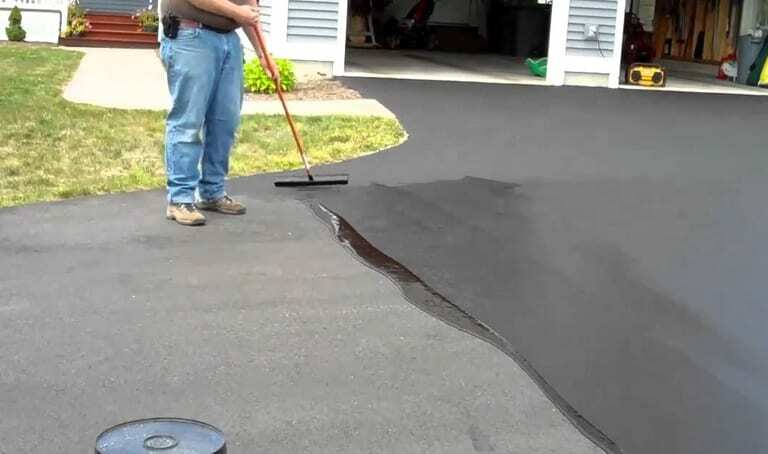 Minor driveway or parking lot damage can be remedied by filling holes and sealcoating. Let Greenway Industries execute these minute patches to extend the years of your paved surface’s life. Sealcoating is a protective layer that furnishes your driveway or parking lot with a pristine appearance. Factors, like water, the sun, and wind, ruin asphalt as times passes, but sealcoating lessens their consequences. A supplementary benefit of sealcoating is the added texture it supplies to asphalt. Automobiles and pedestrians are not as apt to slipping and falling on wet days. Cracks occur after water flows into your asphalt in the winter months. The recurring freezing and melting cause small cracks to form into big cracks. Filling the cracks with material stops water from creating more damage. Do you need a professional to craft exquisite stonework and concrete exteriors? Greenway Industries offers personalized masonry and concrete flatwork services. We work with all of our clients to help them create a realistic look from their own visions. Give your visitors something to talk about! 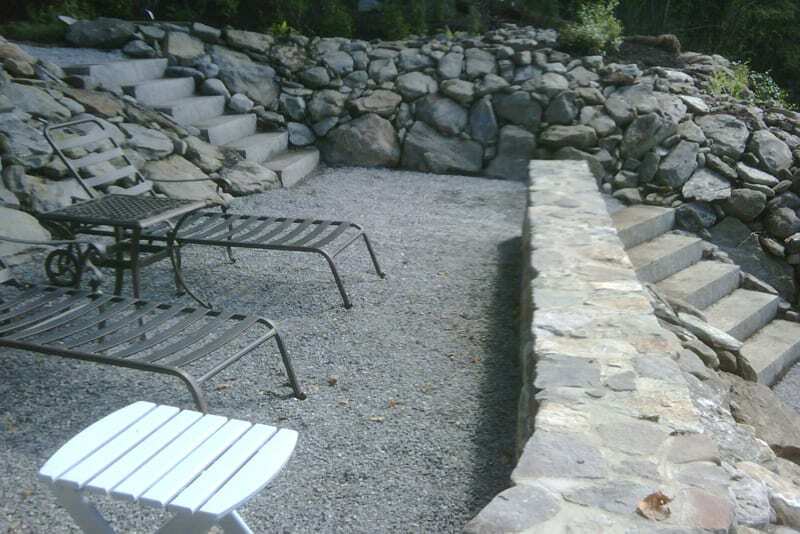 We create magnificent steps, walkways, and walls tailored just the way you want them. Our masonry craftsman will help you to choose from distinctive stone materials to craft your sought-after look that falls within your budget. 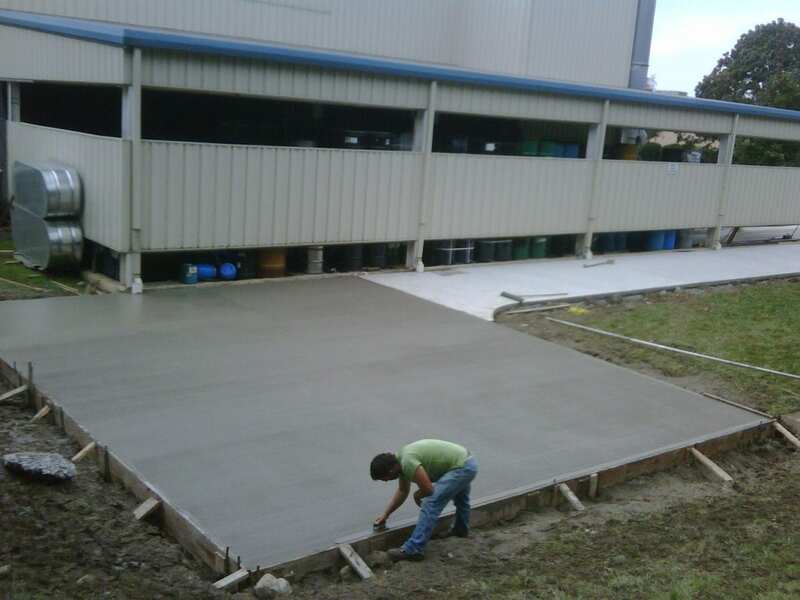 Our concrete flatwork crew designs walkways, sidewalks, curbing, and patios just for you. Greenway Industries assists residential and commercial clientele who need durable concrete surfaces that look magnificent for the years to come. Our experts will help you build the appearance you want to achieve for your business or home. 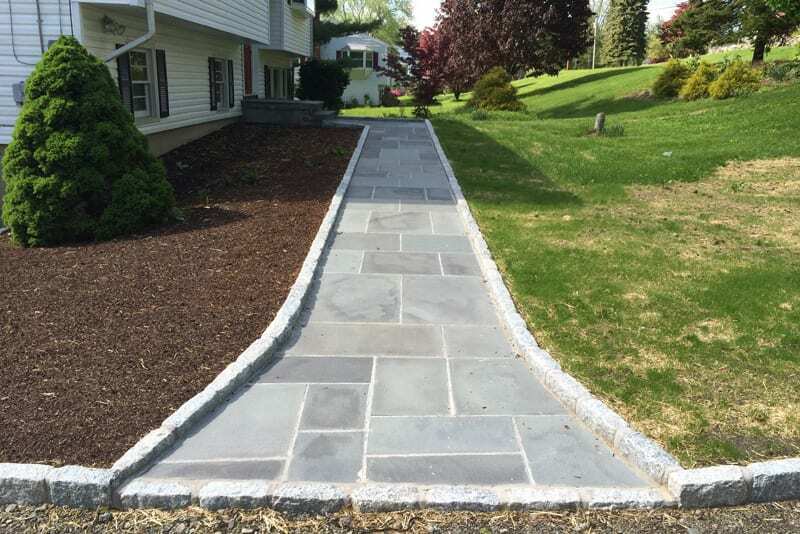 Greenway Industries proudly uses the most superior technology to give our New Canaan, CT clients attractive, permanent masonry and paving services at economical rates. We are fully insured and licensed by the state.